Two fishermen who were stranded at sea for days were rescued by a cruise ship Thursday. 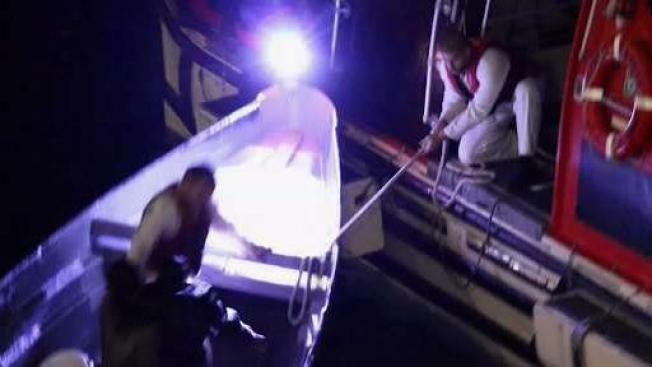 A cruise ship has rescued two Costa Rican fishermen who had been stranded at sea for about three weeks. Royal Caribbean Chief Meteorologist James Van Fleet tweeted that the sailors were saved Friday night between Grand Cayman and Jamaica by the Empress of the Seas cruise ship. Fleet says the cruise ship was not scheduled to be there but had taken an alternate route because of bad weather. Fleet tweeted Sunday that the fishermen left Porto Limon, Costa Rica, and had been adrift since Dec. 1. They said they had fallen asleep while their nets were soaking and ran out of gas while trying to return. Both received medical attention onboard.